You may not have replaced your printer’s ink cartridge for two years, but that’s probably because it’s sitting empty and you can’t be bothered to go through the hassle of buying a new one. The concept is simple. When you buy an EcoTank printer you’ll receive a printer with a very large ink reservoir and the ink to fill it contained in recyclable bottles. Dump the ink in the tank and you should be set for thousands of pages worth of printing (exactly how many varies depending on printer model). When you run out, you buy new bottles and refill the tank. 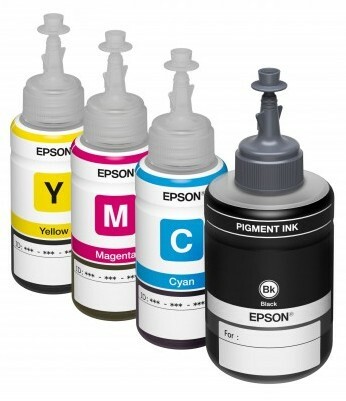 Epson says the printers come with at least 20 times the amount of ink found in your average cartridge – for both black and colour cartridges. That means that if you print the average amount that your printer is designed for, you can go two full years without needing a replacement. When a replacement is needed, it won’t break the bank either – a bottle of ink is $15.49 and a set costs $62. WorkForce Pro WF-R4640 EcoTank All-in-One, powered by PrecisionCore – for the small business, with an in-box ink yield of up to 20,000 black and 20,000 colour pages and print speeds of up to 20 ISO ppm (black) and 20 ISO ppm (colour). The WF-R4640 produces print-shop quality prints with up to 70 per cent lower total printing costs vs. colour laser. 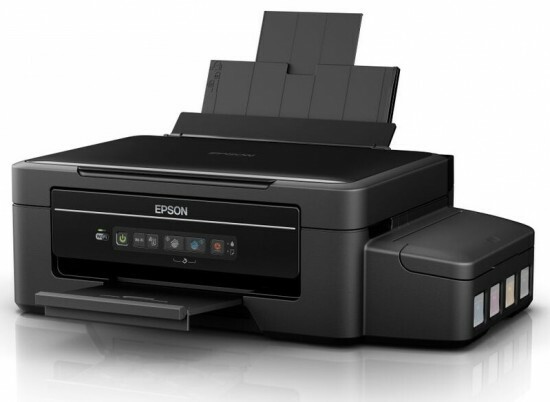 It features a 580-sheet capacity, auto 2-sided printing, copying, scanning and faxing and a 4.3” colour LCD. $1,399. WorkForce ET-4550 EcoTank All-in-One, powered by PrecisionCore – for the home office, with an in-box ink yield of up to 11,000 black and 8,500 colour pages, high-speed, laser-quality black text, and print speeds of up to 13 ISO ppm (black) and 7.3 ISO ppm (colour). The ET-4550 features a 2.2” LCD, auto 2-sided printing, a 30-page Auto Document Feeder, and a 150-sheet paper capacity. $599. 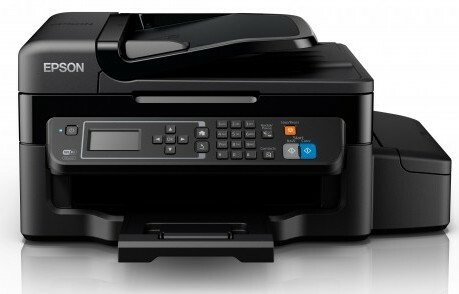 WorkForce ET-4500 EcoTank All-in-One – for the home office, with an in-box ink yield of up to 4,000 black and 6,500 colour pages and print speeds of up to 9.2 ISO ppm (black) and 4.5 ISO ppm (colour). The ET-4500 features a 30-page Auto Document Feeder, a 100-sheet paper capacity and a 2.2″ LCD. It also includes built-in Wi-Fi Direct, and easy printing from iPad, iPhone, tablets and smartphones. $529. Expression ET-2550 EcoTank All-in-One – for the home, with an in-box ink yield of up to 4,000 black and 6,500 colour pages and print speeds of up to 9.2 ISO ppm (black) and 4.5 ISO ppm (colour). The ET-2550 features a 1.44” colour LCD, PC-free photo printing with a built-in memory card slot, and a 100-sheet paper capacity. It also includes built-in Wi-Fi Direct, and easy printing from iPad, iPhone, tablets and smartphones. $479. Expression ET-2500 EcoTank All-in-One – for the home, with an in-box ink yield of up to 4,000 black and 6,500 colour pages and print speeds of up to 9.2 ISO ppm (black) and 4.5 ISO ppm (colour) . The ET-2500 comes offers easy one-touch copying to get high-quality copies fast, and a 100-sheet paper capacity. $459.